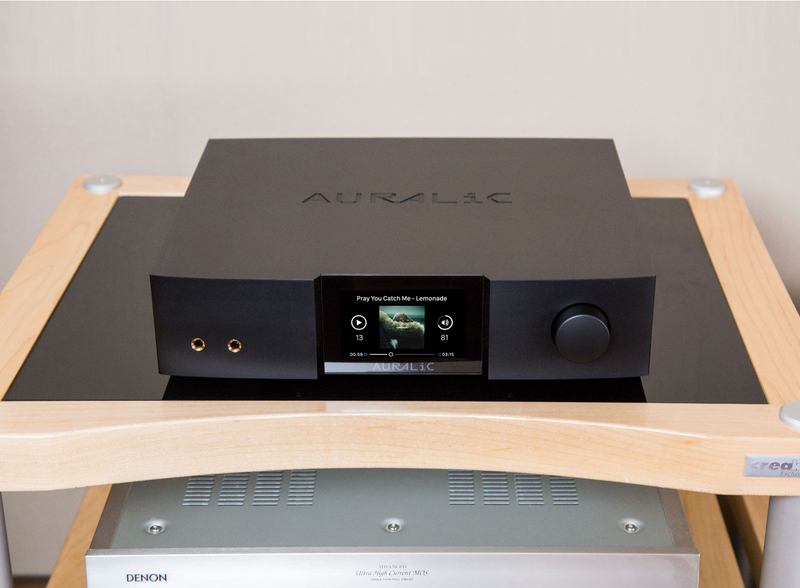 Auralic has enjoyed an excellent reputation in the hi-fi world for years, both in streaming and in D/A conversion. With the new Vega G2, the team led by Xuanqian Wang and Yuan Wan now take it to a new level. 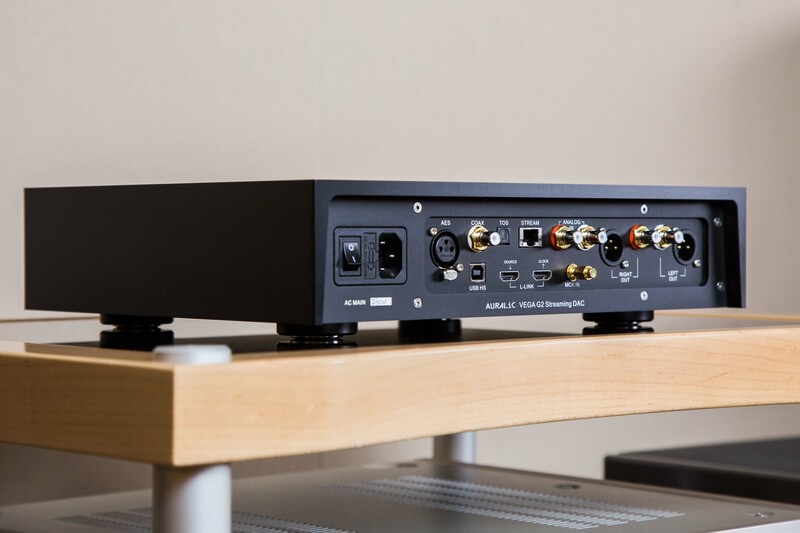 What the elaborately designed streaming DAC has to offer, we clarify in our overview. The most striking difference compared to all previous devices from Auralic is the completely redesigned housing design. Instead of the typical silver gray comes the Vega G2 in stylish anthracite, the Corpus is also completely cut from an aluminum block. As a result, the device looks even cleaner worked and a lot more noble than earlier design concepts from Auralic. The stately weight contributes to the rest of this impression. Furthermore, the sensitive high-performance electronics are optimally protected by the housing against electromagnetic interference, while solid feet also ensure a largely vibration-free installation. The only control on the front is the volume control on the right. The hidden technology later deserves our attention, at this point the haptics should first be emphasized positively. The slider is pleasantly sluggish, each grid step is rewarded with a nice, mechanical click. The centrally positioned and high-resolution 4 “TrueColor panel is easily embedded in the front of the case and provides the user with all relevant information in crystal clear letters. A glance at the back reveals the precisely processed connector panel of the Vega G2. 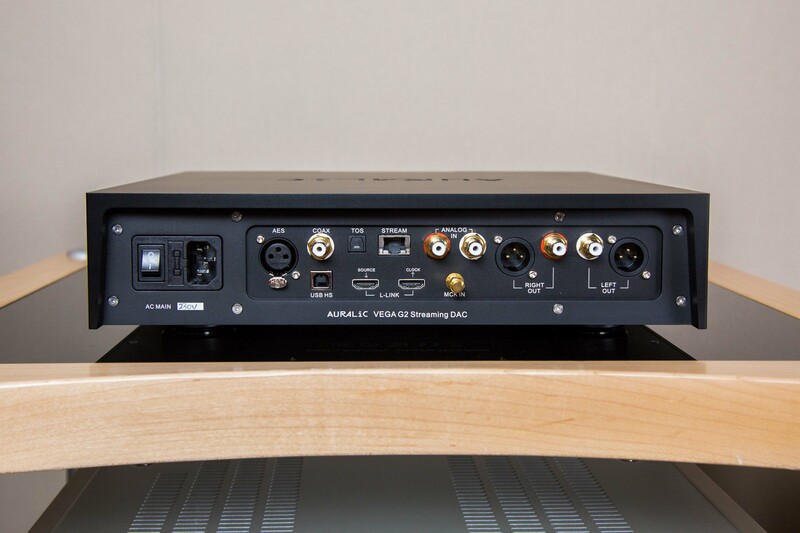 In addition to the usual D / A converter suspects – a USB Type-B jack, a digital Coax and a digital TosLink input – the Vega G2 also has a more relevant for professional applications AES input and even an analog RCA Input has been integrated. Also rather uncommon for a DAC is the Ethernet socket – here reveals itself now what with the official name of the Vega G2 actually meant as “Streaming DAC”: Because actually the Vega G2 can be integrated (exclusively) via cable into the network and then in conjunction with the Lightning DS app as streaming center. So far we have not mentioned the two HDMI inputs: Auralic does not poach in the AV area, rather it is a proprietary interface to couple different components of the G2 generation together and so not only music but also control and Transport control data on one channel and with the highest precision. On the output side, the Vega G2 is limited to the bare essentials: There is a stereo output available that is both unbalanced (RCA) and balanced (XLR). 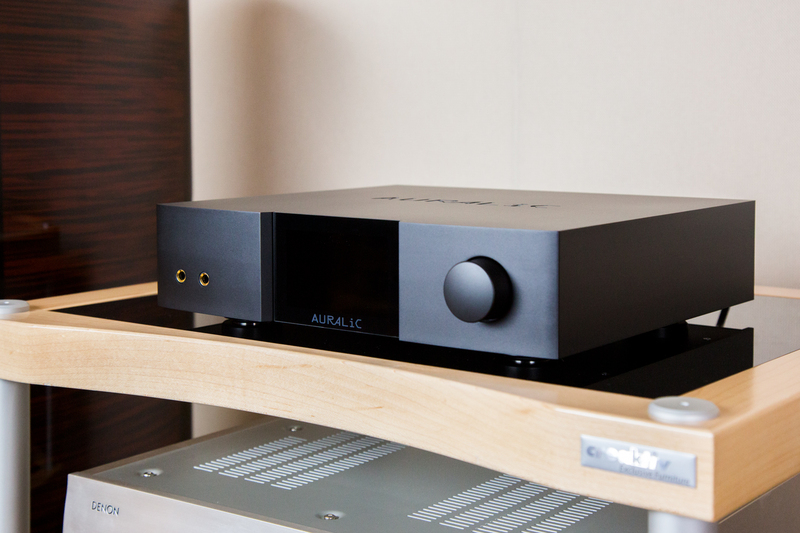 Let us now turn to some technical highlights of the Auralic Vega G2. It should first be noted that the entire digital input section and the sophisticated processor architecture of that part of the circuit, which is responsible for the digital-to-analog conversion, are galvanically isolated. This minimizes unwanted signal interference, which improves the quality of the audible signal. By contrast, the analogue input completely bypasses the areas just mentioned and sends signals directly to the volume control, which – and this is a special feature – is completely analogous in the Vega G2 on the one hand and passive on the other hand. In contrast to digital control concepts, resolution losses at low volumes are avoided, and the passive circuit no longer requires power after the signal level has been adjusted – this eliminates another potential source of interference. A side note for lovers of detail: Of course, this setup implies that the relay also switches when controlling the volume via the Lightning DS app. Very chic! In addition, of course, the DAC circuit itself must be mentioned. In this respect, Auralic is not satisfied with simple answers and dispenses with an off-the-peg solution. Instead, in the Vega G2, a solution tailored to specific specifications by ESS is performing its service. The clock is given by two femto clocks, which have gained in precision again. All in all, these measures result in an extremely low-interference signal with extremely low clock fluctuations (keyword: jitter), which is output at the analog output after conversion in the highest quality. Finally, we take a look at possible setups that can be realized with the Auralic Vega G2. This has the potential to form the central interface in a modern hi-fi system. Through the Ethernet connection, the Vega G2 becomes a network player – locally stored music libraries (computers, NAS, music servers, …) are available through the Lightning DS app (Apple only! ), As well as the Tidal and Quobuz streaming services and Internet radios can be integrated in this way. In this context, the possible connection to the streaming complete service Roon (LINK) should also be mentioned. 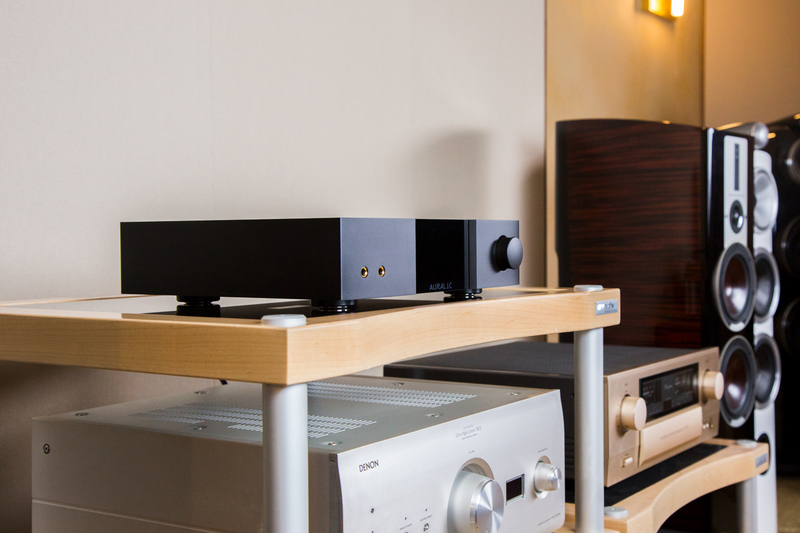 Furthermore, if required, a CD transporter or – Phono preamplifier – connected a turntable directly to the Vega G2. On the output side, a solution with high-quality active loudspeakers as well as a combination of the stereo power amplifier (or monoblocks) and passive loudspeakers is conceivable. Of course, the Vega G2 can also be integrated into an existing setup with an integrated amplifier or pre- / final stage combination. DThe Auralic Vega G2 is a piece of hi-fi equipment that is uncompromisingly trimmed to the highest sound quality and well thought-out. It not only shines as a pure D / A converter but also has what it takes as the heart of an ultra-modern and minimalist hi-fi. End Systems to operate. The price is quite an announcement, the delivered value, however, also.